Beaverton will consider joining Washington County in restricting single-use plastic bags. Hillsboro and Forest Grove already are among the 13 Oregon cities that have done so, although Hillsboro's ordinance takes full effect in July. Beaverton Mayor Denny Doyle signaled in his state-of-the-city remarks Jan. 10 he is prepared to propose a similar plan. But he said it would make more sense if it coincides with similar action by Washington County for nearby unincorporated communities. "I think it's a good message to send to the county that we are willing to work on a regional team to make that happen," Doyle said Tuesday night (Jan. 15) at the close of a City Council workshop on the issue. "It is encouraging to see governments starting to work together." Scott Keller, the city's senior program manager who oversees recycling and sustainability, said a joint staff meeting is planned with the county and Hillsboro. Hillsboro City Council approved its restrictions Nov. 20; they take effect in July. Washington County commissioners have taken no formal action yet but have directed the county staff to look into similar restrictions, which would affect areas outside cities. Councilor Marc San Soucie said he had been skeptical of city-only action in the past. "But the world has changed," San Soucie said. He said the key to city action now is simultaneous action by the county, so that all shoppers and stores in the area have the same experience. "If we can do that, I am on board with that, because I think it's time to do it," he said. "I think the use of responsible alternative bagging techniques is not that difficult for people." Hillsboro's ordinance allows merchants to charge up to 5 cents for each paper bag used. It also excludes from the restriction plastic bags used for some items, such as produce from groceries — though not farmers' markets — laundries and pet waste. Based on experience in other cities, Keller said, "there isn't a lot of enforcement necessary." 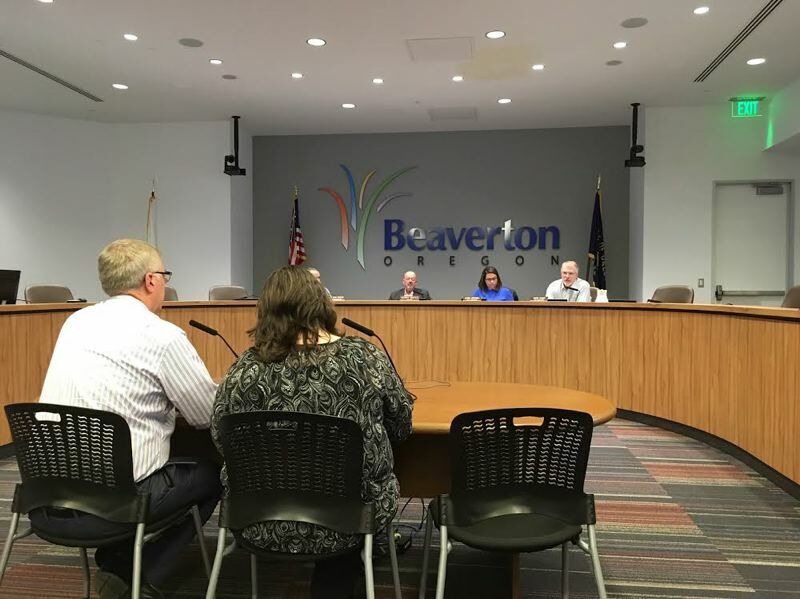 The issue will return to the Beaverton council in several weeks. Two councilors, Cate Arnold and Lacey Beaty, were absent from the Jan. 10 workshop. "I think it will be a little more costly than we think," Councilor Laura Mitchell said. Councilor Mark Fagin remained a skeptic, although he did say that if the city and county acted together, it would eliminate potential confusion based on whether businesses are inside or outside the city. "I think it's going to cause confusion for businesses," he said. "But I do think it makes sense to reduce the use of single-use plastic bags." Although previous attempts to ban or curb single-use plastic bags failed to advance, the current session of the Oregon Legislature may take up legislation that would apply statewide. Since Portland adopted its own ban in 2011, 12 other Oregon cities have followed suit, including five of the nine next largest cities, Hillsboro among them. Some have not yet taken effect. Forest Grove passed a restriction in 2016.